This free sample cover letter for a dietician/nutritionist has an accompanying dietician/nutritionist sample resume and dietician/nutritionist sample job ad to help you put together a winning job application. I am writing to express my interest in the position of Dietitian/Nutritional Advisor for Slim & Healthy, as advertised on Seek.com. I’m a qualified dietitian committed to helping people eat well and lead healthy lifestyles. I have a Bachelor of Health Science (Nutrition and Dietetics) from Charles Sturt University, am a member of the Dietitians Association of Australia and hold a full, clean driver’s licence. Nothing gives me greater satisfaction than helping people achieve their health and weight loss goals. I’m a great motivator and can adapt my approach to different personalities. I also thrive on creating networks and have a strong ability to communicate nutritional advice to people from different backgrounds. Seeing people transform themselves through healthy eating and lifestyle changes gives me a great sense of satisfaction and I would love to help spread the healthy eating message at Slim & Healthy. For the last three years I’ve worked at Soul Food Organics, advising customers on products and generally running the store. In this role I have helped customers develop eating plans which allow them to maintain healthy lifestyles, often around allergies, specific health issues and weight loss goals. My computer skills are well developed, including the use of Microsoft Office applications on both Mac and PC platforms. I would love to join the dedicated team at Slim & Healthy to help clients achieve their goals. My resume is attached and I look forward to being able to discuss the position with you further. 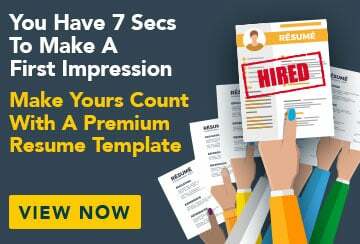 This free sample cover letter for a Dietician/nutritionist has an accompanying Dietician/nutritionist sample resume to help you put together a winning job application.